If you love a swing or porch swing , ours are made in 2 -4 seats with shaped seats for comfort, made with the best materials we can source. 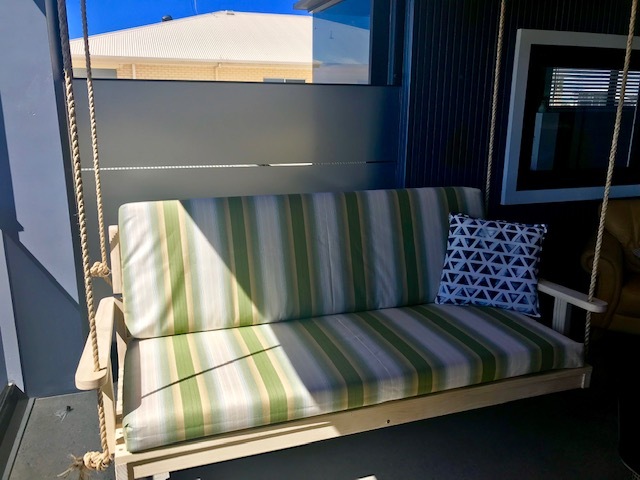 Kiln dried timber, West Australian Jarrah, Australian Chestnut or Accoya with stainless steel fixings and the option of chains or sisal ropes and sunshades of timber or light weight marine grade canvas. 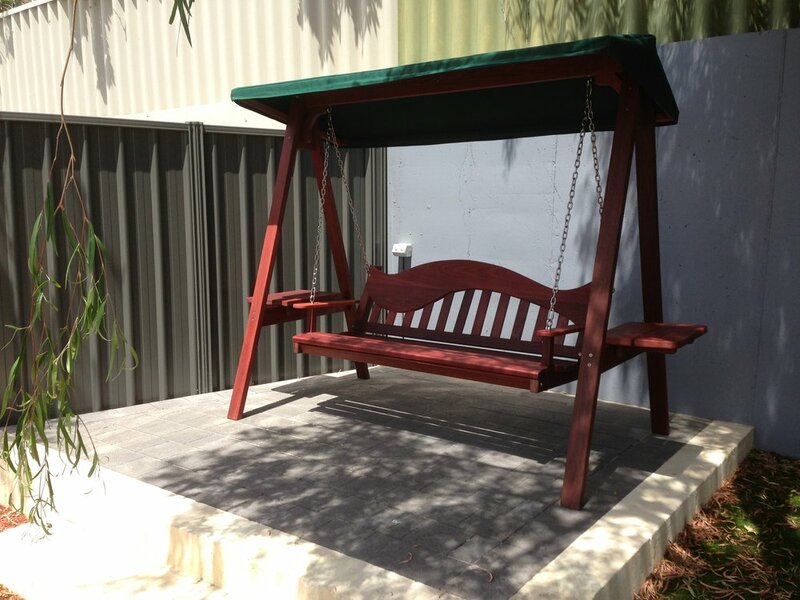 Swing seats or porch swings can be supplied with or without stands. Day beds and sun loungers can be made to measure with or without mattresses , covered with your choice of fabrics to compliment your pool or alfresco.